If you're a Sony a9 user, this might bring a smile to your face! Check out the new 5.0 firmware update! Owners of the Sony a9 camera are in luck! Sony just dropped their 5.0 firmware update, with a focus on drastically increasing the a9’s already robust capabilities. 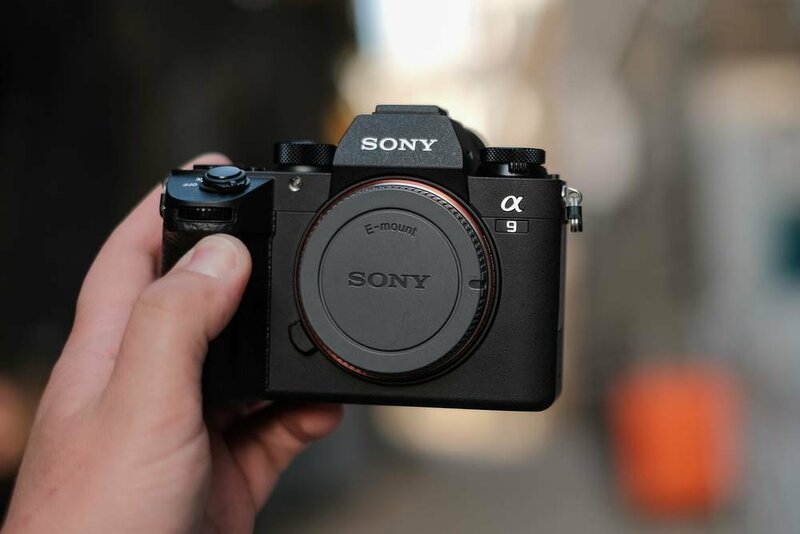 The a9 was released in 2017 as an alternative option to the a7 series, and it’s remarkable because it was one of the first truly professional-grade mirrorless cameras on the market. While this certainly isn’t the first firmware update the a9 has received, this one is worth paying attention to. In fact, Sony even touts this as the rebirth of the a9. While there are a host of new features and tweaks, here are three of the new major features you’ll find in firmware 5.0 for the Sony a9. Unprecedented autofocus and subject tracking via AI integration is the most impressive feature in the firmware update. AI is increasingly gaining influence in the industry, and using it to power autofocus and subject tracking can give you a tremendous advantage over standard onboard features. Sony says the subject tracking processes in real-time, and it looks astounding in the video below. Not only does the artificial intelligence algorithm track subjects through object-based recognition, but it also uses depth, brightness, and distance. It also improved eye and facial tracking to develop a composite data field of the tracked subject. In the realm of tracking, you’ll also find the Fast Hybrid AF video mode, as well as better phase detection (from the previous F11 to F16). It’s reasonable to envision future updates that further improve upon this AI technology, since this is the first time it’s been implemented in the a9’s firmware. It’s exciting to think about the prospect of getting even better autofocus and tracking in the future as the AI evolves. It can be time-consuming to transcode proxy files in post, which is why the a9’s new ability to simultaneously record low-bitrate proxy files alongside your original 4k video clips is a welcome addition. This is especially helpful if you’ve got a laptop in the field and want to quickly scrub through your footage with your crew, and make rough edits on-the-fly for review later. Simply adjust your composition size and re-link your 4k files once you’re in post, and you’re all set. To access this feature, follow the menu path below found on Sony's a9 help guide. Your proxies will be recorded in XAVC S HD at 1280x720 with a bitrate of 9Mbps, using the same frame rate as your 4k footage. Proxies can’t be displayed on the playback screen, and you’ll see a “Px” logo on your footage that has been shot with proxy recording turned on. Note that proxy recording will not work if you’re shooting in AVCHD, or XAVC S HD at 120p/100p. Sony’s excited about their Imaging Edge app (available here for iOS and Android), which functions as a way to transfer your footage and stills onto your phone from the camera. Now, you can download the Transfer & Tagging Add-On (also available here). Thanks to the 5.0 firmware update on the a9, you can use text or even your voice for rapid tagging and transfer of your favorite stills, then upload them to an FTP server using your phone’s network connection. It’s important to note that right now this feature appears to only work for still images, but there’s a tremendous amount of value that functionality provides not only to photographers. It also helps filmmakers who want to make verbal notes on scenes, shot angles, edit cues, clip references, etc. Once 5G becomes ubiquitous, it’s easy to see how something like this could also work for real-time 4k video file backup to an FTP server while in the field. You can see how easy this tagging and transfer feature is in the video below. You can still use the Imaging Edge app to transfer footage to your phone for backup, though, and transfer to a file hosting service from your phone if you’re on Wi-Fi. All the other exciting new features in the update, as well as the 5.0 firmware update file itself, can be found on Sony's support page. Just remember your custom camera settings will be reset after updating, and since firmware updates are always a technical risk, you’ll want to take every precaution when updating your camera’s firmware by following Sony’s instructions to the letter. From the addition of simultaneous proxy recording, to AI-driven tracking and autofocus in real-time, this new firmware update makes the a9 a solid choice for filmmakers in the sub-$5,000 price range (minus lenses). While the term “future-proof” is really a misnomer since all technology eventually becomes obsolete, the ability to have hardware that moves with rapidly-advancing technology by utilizing firmware updates can make the prospect of buying a camera like this much more sensible to filmmakers. Other manufacturers would do well to follow Sony’s lead on this type of forward-thinking engineering that brings extended value to its users. Grab that firmware update, and work better and smarter with your new and improved Sony a9! Remember to check out our recent blog post about incredible online VFX academies to level up your visual effects game!